Nieuw! Beter menu en vernieuwde web pagina: Klik hier. Rijksmuseum, 30 september 2015. Photo C. Kaldenbach. Come visit the Rijksmuseum Amsterdam, Holland and enjoy its outstanding 17th century Dutch master paintings, its Delftware and exquisite doll’s houses with leading Vermeer specialist and art expert Drs Kees Kaldenbach. Arriving at at 8.59 am with his VIP pass, you are first in front of the museum four Vermeer paintings. Kaldenbach believes in a question and answer approach in the time-honored style of Socrates, allowing the client to discover the painting step-by-step. After, move on to the Rembrandt in the Rijksmuseum Gallery of Honour; standing directly before superb Rembrandts in the Rijksmuseum. See his brush strokes and imagine yourself standing just in back of the great master. His late style shows wild, expressive brushwork and ability to penetrate the human soul. In the room with early Rembrandts, discover how the painter reached mastery within just a few years after turning 20. In the afternoon, after lunch - or another day - see the Rembrandt House Museum and explore where Rembrandt’s masterpieces were painted. There are tables full of paint pigments and canvases of different kinds. You can see how he splurged on art objects as props. A day trip is also possible to the Royal Collection Mauritshuis, in The Hague, preferably arriving there at opening time (10 am) to be able to admire the museum’s three superb Vermeers and all Rembrandts. Panorama in the Rijksmuseum: the Gallery of Honour. Getting there after 10 AM gives you this maddening crowd. In front of the Night Watch. Entering in the VIP mode at 9 AM with me gives you this situation! Nothing beats standing face to face in front of a superb Rembrandt in the Rijksmuseum, Amsterdam. You can see the brush strokes and imagine standing just in back of the great master. 1) Some of the best and grandest real Rembrandt paintings in the Rijksmuseum. 2) Experiencing Rembrandthuis, the home he lived and worked in, with some great paintings and numerous etchings. July 2013: Ricardo N and his wife Francis S. live in New York City and are full-time NYC art aficionados, travelling the world and visiting most of the fine art centers in Europe. In June-July 2013 they toured for three full days with Drs Kees Kaldenbach. Ricardo: "I would rate you as terrific. It is a great treat being with you - You saved my life in showing me the Mauritshuis collection - I thought it was completely closed!" 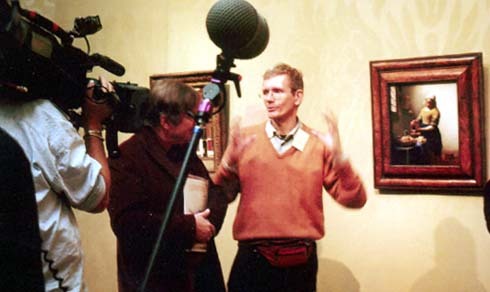 Francis N.: "Kees is outstanding... he has a very rare gift among any the great number of professional tour guide we met in our lifetime... in presenting a deep and very specific art history knowledge, and in combining this with passion and and easy going presentation. My husband and I have spent our lives in the art world of NYC and the West Coast. We have rarely met such a wonderful guide. Kees is an outstanding fountain of visual knowledge and historic insight. He truly is top class within the field of Western art history!" Rijksmuseum tour. The glorious national collection. Fast track entry in ALL Amsterdam museums. Avoid spending time waiting in museum queues. Enter the museums together with me. See Dali's opinion of Vermeer. Vermeer and Neuroscience / Opthalmology. Rembrandt tours incl the Maria Trip portrait. English article on key portrait of Uytenboogaard. Dutch/NL text Uytenboogaerd, Dutch . Photo Yuichi nara. Japanese TV team, Rijksmuseum, 2013. 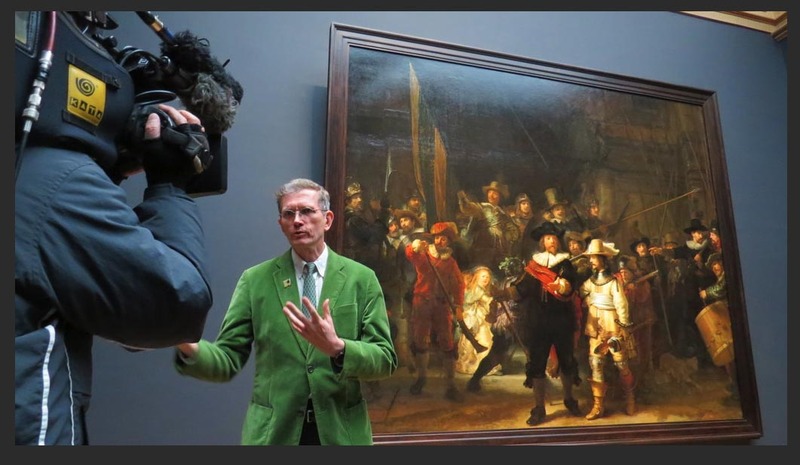 2013: BBC shoot in Rijksmuseum, Amsterdam. BBC 4 TV programme shoot in the Rijksmuseum, Amsterdam, March 28, 2013 just before the formal opening. Kaldenbach in red jacket. Behind the middle cameraman interviewer Andrew Graham-Dixon. The film director approaching from the right. In the middle: daughter Suzanne, who has not been there for 12 years, Kees Kaldenbach and interviewer Andrew Graham-Dixon. A presentation of just before the opening week after the 10 year museum restoration by Andrew Graham-Dixon. I was there on-camera with my daughter and we were filmed, but in the final edit - alas - we did not make it in the documentary. Clipping from the NYT, copyright NYT. In this particular case, strangely enough, I was not asked to be the president's tour guide! Rembrandt is one of the most gifted artist-painters in world history and he may be the nr 1 most accomplished and very best of etchers and engravers who ever lived, worldwide. In any country or period. Nothing beats standing face to face in front of A REMBRANDT and viewing the real thing. Amsterdam is a fine place to do so because here we have the Rijksmuseum (State museum of art) and the Rembrandt House, the place where he actually lived and worked for many years. Although leafing through illustrations in art books and images on the Internet are fabulous for study purposes, and indispensable in order to learn how to distinguish and compare, understand and classify, there is one experience paramount. Standing face to face with an actual painting by Rembrandt or an actual etching by Rembrandt may become a thrilling and moving event. The Rijksmuseum is the prime place for viewing paintings in Holland, although the museums in The Hague (Mauritshuis) and Rotterdam (Boijmans) are a good alternative. I am prepared to give this set of two powerpoint presentation lectures. A while back, I presented it at Atlanta, Georgia, at the Oglethorpe University. BBC 4 TV programme shoot in the Rijksmuseum, Amsterdam, March 28, 2013 just before the formal opening. Kaldenbach in red jacket. Behind the middle cameraman interviewer Andrew Graham-Dixon. The director approaching from the right. The paint surface: is it shiny and glassy-translucent like a Russian lacquer box (this is the successful style he invented and taught, called fijnschilderkunst or fine painting) or is it as rough and unkempt like bricklaying mortar? Did he succeed in combining both techniques within one and the same painting, like in the stunning Prophet Jeremiah lamenting the sacking of the temple in the Rijksmuseum. Go to a full discussion of the painting of Maria Tip. Did he only use the fine style in the beginning of his career, and the rough style only later on, or did he move to and fro with those techniques throughout his life? And what is the psychological wizardry and soul-searching he employes, even at a young age, as a young man of barely 22 or 24? 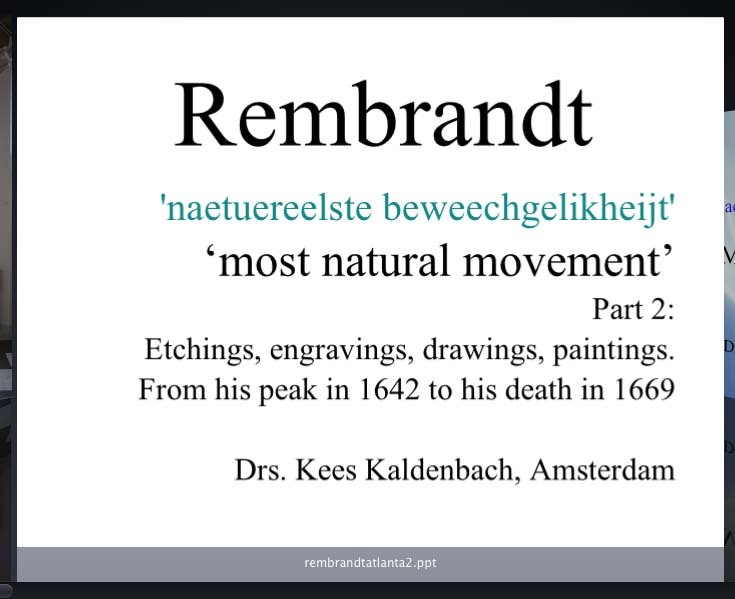 What did Rembrandt write on that subject...? 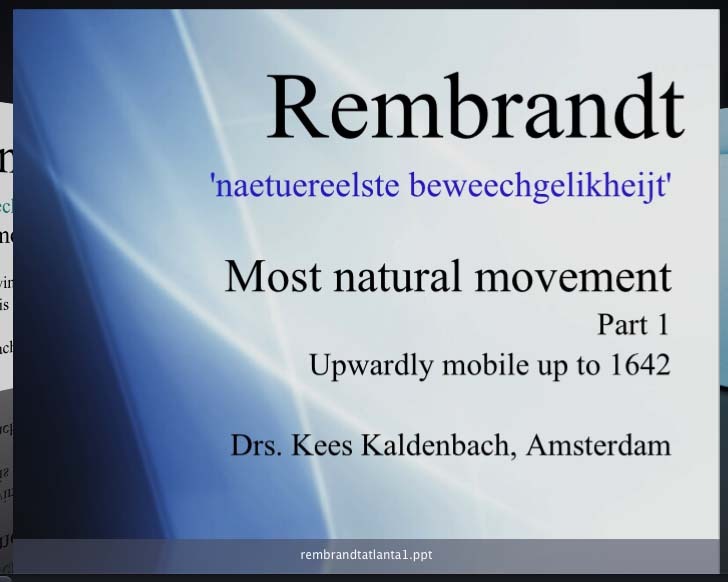 In a letter to Constantijn Huygens, the art lover and Secretary of State, Rembrandt used the term 'naetuereelste beweechgelikheijt'; would a translation in 'Most natural movement' be called for or are there other options for translation? If so, what does this imply? 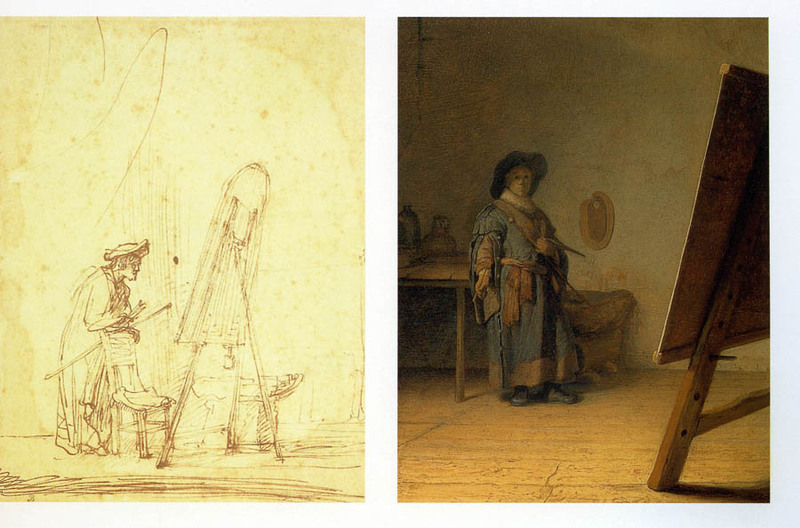 Rembrandt and Lievens probably shared a studio in Leiden. This is the interior. 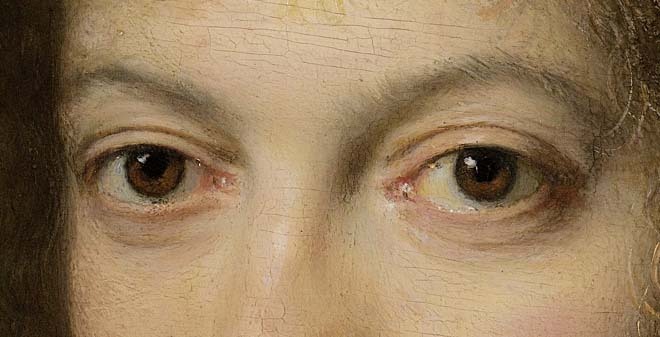 A good comparison can be made between the eyes on this painting of Maria Trip and the eyes in the Uyttenbogaard portrait by Rembrandt (below). With a bit of luck they will hang close together whan the Rijkmusem building reopens in full size on April 14, 2013. A full article on this large portrait of the marvellous preacher Uyttenboogaard. 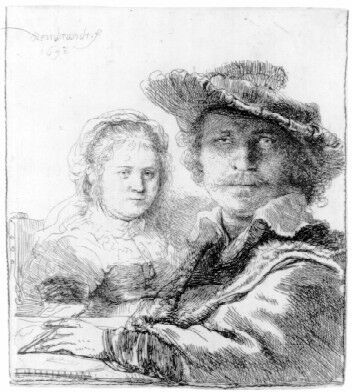 Saskia and Rembrandt, their good years. Etching. Rembrandt belongs to the class of best etchers in teh world. On show in the Rembrandthuis. 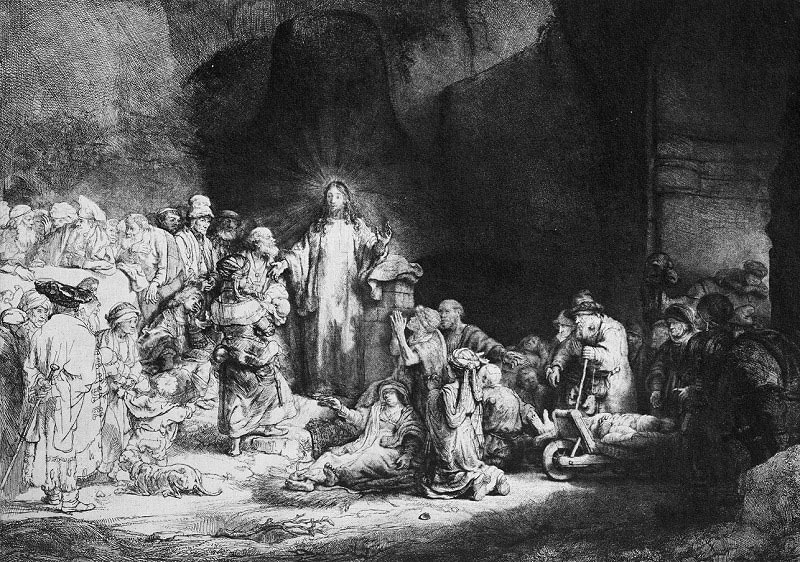 The Hundred Guilders Print, as an etching unfinished (according to Prof. Ernst van de Wetering) but nevertheless driven to extremely high cost in on auctions in Rembrandt's time. And then over to the Rembrandthuis. the house in which he lived with Saskia and in which his children were born. The interior has been re-constituted based on the inventory list of his bankruptcy. It feels like walking into his studio and sale rooms, as if the great master has just walked out on doing some business and left you there to roam about on your own. On the top floor one can stand face to face with a good series of the actual etchings. 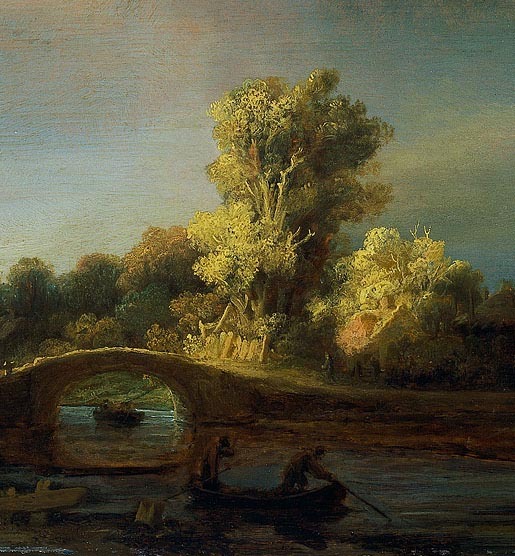 What sets Rembrandt apart from other artists like Duerer, Lucas van Leiden, Elsheimer? How fine or bold are Rembrandts results in the etching and engraving lines? Learn how to see and appreciate how he employed these fine or bold lines in the etching and engraving in order to get the 'Most natural movement'? A bit of social history and the personal history will also serve to put Rembrandt in perspective. 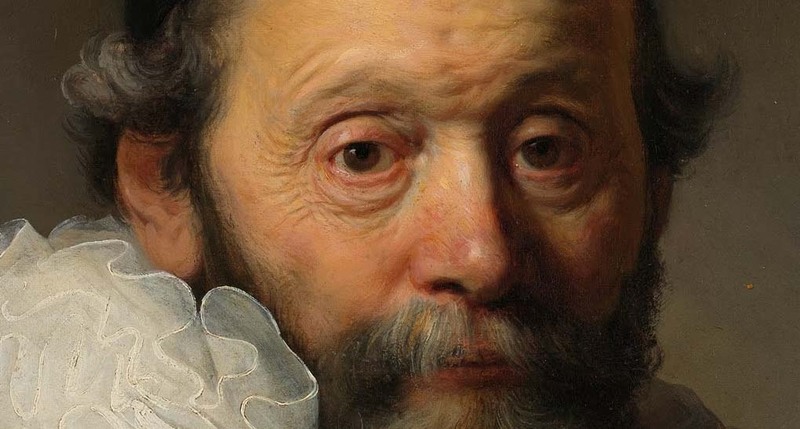 Was he really a cantankerous man who alienated the wealthy patrons after 1642, the year of the Nightwatch? I will be there to assist you in viewing and I will help you to hone your own way of seeing. Art appreciation in front of the real thing. 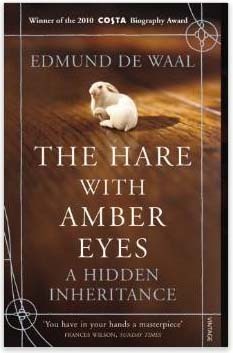 From: Edmund de Waal, The Hare with Amber Eyes, A Hidden Inheritance, 2011. Art historian Drs. 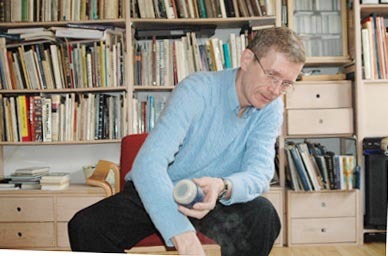 Kees Kaldenbach lives and works in Amsterdam and is specialized in European art. As a teacher and public educator he uses lectures and multimedia technology to present a rich tapestry of image information on European art history both for the public at large and for fellow art historians. Drs Kaldenbach has published widely and has designed a major 2000+ item web site on the art of Johannes Vermeer and other Delft artists. He has collaborated in fine art TV programs by networks such as CNN, BBC2, BBC3, BBC4. He has also published books and many articles on art, some on Rembrandt. He has a great capacity to share with others his deep passion for art history while sharing ways of heightened perception. Experience the famous Rembrandt paintings in Amsterdam, Holland in a new light! 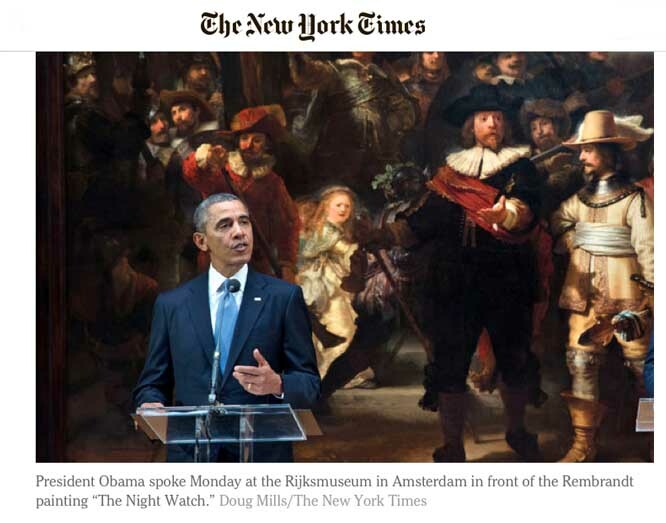 This is a fine way to celebrate the aftermath of Rembrandt's 400th birthday. Imagine being the privileged guest of honour at the home of art historian Kees Kaldenbach. While sipping a fragrant cup of coffee or tea, you listen to a personalized (private or small-group) lecture and discussion on the astounding visual wonders that Rembrandt has bestowed upon us. Afterwards, a short ride by tram takes us to the nearby Rijksmuseum (additional entry fee). In the museum I will point out and explain the visual wonders of Rembrandt's technique; contents, brushstrokes, details, composition, colour. You may also arrange this VIP treatment for business contacts or friends. This cultural organisation office will take care of a memorable experience. Lectures (in Dutch, English or German + translations into Japanese) are given in plain, accessible language. Thus you will be the beneficiary of tailor made scholar lectures* during your travels. Rembrandt lectures in Public speaking engagements Atlanta, Georgia, 2007. In 2008 Drs Kees Kaldenbach published his museum guide on paintings by Rembrandt. Pubisher: Scriptio. Drs. Kees Kaldenbach has been featured in television and radio documentaries, including BBC2 TV, NTV Japan, Danish TV and Radio Netherlands World Service. In July 2004 he was interviewed about Delft artists the Nishinippon (Japan, 2012) and by Tetsuya Tsuruhara for the leading Japanese newspaper The Yomiuri Shimbun. In 2004 and 2005 he acted in an advisory role to additional BBC teams. Kaldenbach has written extensively on Vermeer and 17th century Delft, also on Vincent van Gogh and on other art history topics. *Martha Gellhorn, Travels with Myself and another, page 182. It is a rare and unique privilege that the Rijksmuseum has linked from the main Rijksmuseum site to my site. Start at www.rijksmuseum.nl and select Collection, after which you choose Digital Collaboration and the Digital Vermeer House. Also for business contacts, VIPs and visiting dignitaries. Read client referrals and testimonials. a) the Rembrandt House, Amsterdam, for an in-deph guided tour. c) the Royal Collection The Mauritshuis Museum in The Hague, which houses several renowned Rembrandt paintings, including his 'Anatomical Lesson of Dr Tulp'. Vermeer paintings may also be discussed there. The Hague is easy to reach with public transport, by train. I can join you from your hotel or from the Amsterdam train station. Various other options are open to you: a) You can hire a car and drive it yourself, and I will join you starting in Amsterdam and will advise you about the best route. b) We can hire a professional taxibus service at around E 70 per hour for about 4 to 5 hours. On top of that you will pay me as the specialist guide. This is the more expensive option. Tour duration: 2 to 3 hours. We may go on foot. In July 2004 he was interviewed about Delft artists by Tetsuya Tsuruhara for the leading Japanese newspaper The Yomiuri Shimbun. In 2004 and 2005 he acted in an advisory role to additional BBC2, BBC3, BBC4 teams. 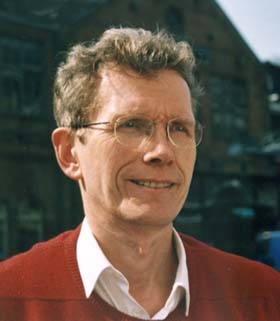 Kaldenbach has written extensively on Vermeer and 17th century Delft, on Van Gogh and on other art history topics. Drs. 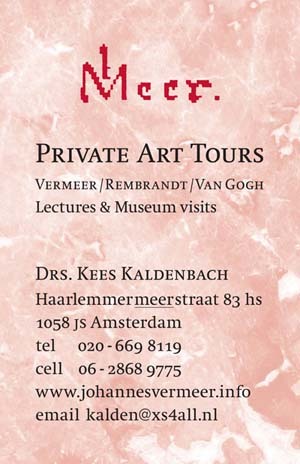 Kees Kaldenbach will be your private "scholar-lecturer on culture tours". It is a rare and unique privilege that the Rijksmuseum has linked from the main Rijksmuseum site to this site. Start at www.rijksmuseum.nl and select Collection, after which you choose Digital Collaboration and the Digital Vermeer House. Launched April 15, 2004. Updated February 17, 2017.